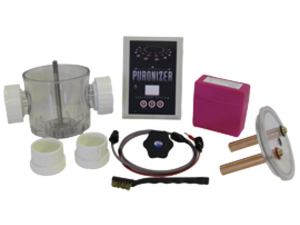 The Puronizer purification system, will work indoors or outdoors. The Puronizer system ensures quality water with very little effort and no algae. As your pool water passes through the in line cell unit, copper and silver ions are released killing bacteria and algae.